Tiara DeRosa and her Mississippi Valley State Track and Field teammates continued their Indoor Season competing at the Jaguar Invitational hosted by the University of South Alabama at the Birmingham Crossplex Arena. 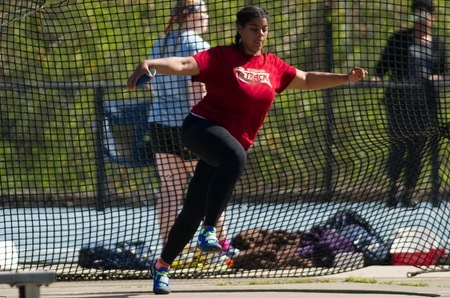 Derosa would finish 3rd in Flight 1 of the Women’s Weight Throw with a toss of 14.89m or 48 feet 10.25 inches. The distance would see Derosa finish 15th overall.